2. Complete the applicant information fields. 4. Click on the Apply Now button. a. All documents must be submitted in PDF format, not other format will be accepted. b. Please only apply for your preferred job posting. Each candidate will be considered for all open positions. We focus on three core areas of the power generation and transmission industry. These include Automation & Integration, Protection & Control, and Communications & Cyber Security. We are actively recruiting technical staff with industry experience in all of these areas for positions in Maine, Vermont and New York. 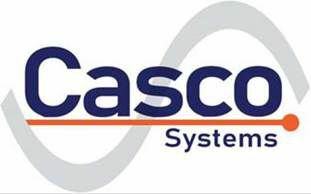 If you have industry experience and would like to work with a growing group of hard working & creative engineers, please submit a resume with cover letter and salary history to careers@casco-systems.com. Casco focuses on three core areas of the power generation and transmission industry. These include Automation & Integration, Protection & Control, and Communications & Cyber Security. *Note that Faraday Drive is a brand new street that does not show on Google Maps yet. For directions to the office please use the address of 193 Gray Road Cumberland, ME.